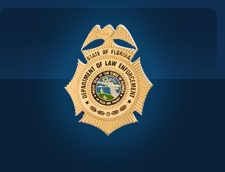 The Florida Department of Law Enforcement in cooperation with the Division of Emergency Management, Florida Association of Broadcasters, Inc., Florida Department of Highway Safety and Motor Vehicles, Florida Highway Patrol, Florida Department of Lottery, Florida Department of Transportation, Florida's Police Departments and Sheriff's Offices and private partners is responsible for activation of the Florida AMBER Alert in accordance with the Florida AMBER Plan. The Florida AMBER Plan was established in 2000, making Florida the second state in the nation to develop a statewide AMBER Alert. The purpose of the Plan is to broadcast critical information of an abducted child as quickly as possible to the media and general public. The initial plan included use of the Emergency Alert System (EAS) to notify the media and public. The plan was expanded in 2002 to include use of road signs and lottery machines when an Alert is activated. Additionally, the Plan now includes the ability for members of the public to receive emails or free text messages when an AMBER Alert is activated. 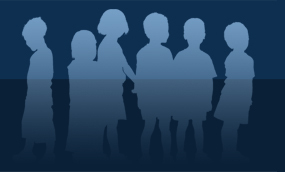 To aid in the recovery of missing children who are in danger where there is no evidence of an abduction, the Florida Department of Law Enforcement established the Missing Child Alert in 2003. The AMBER Alert was named for nine year-old Amber Hagerman (pictured left). 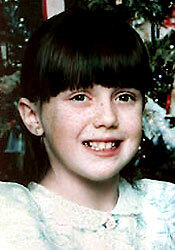 She was abducted in 1996 while riding her bicycle outside of her grandparent's home in Texas. She was found deceased four days later. The case is still unsolved. AMBER has since become an acronym for "America's Missing: Broadcasting Emergency Response". In 2003, Congress passed the PROTECT Act to establish and support the development of AMBER plans in each state. For more information visit the Florida Department of Law Enforcement Missing Persons' Alerts webpage or contact the FDLE Missing Endangered Persons Information Clearinghouse toll-free number at 1-888-356-4774. To sign up to receive text or email alerts when an AMBER or Missing Child Alert is activated, visit www.missingchildrenalert.com.